Many of us are looking for ways to personalise our homes and transform them from nice, functional spaces into really meaningful ones. Often, inspiration comes from a particular place; the chic, elegance of Paris, the colourful bazaars of Morocco or the light, minimalist style of Sweden. This week, we turn the spotlight on Italy to bring you some style tips that will give your home an authentic, rustic Italian vibe. To give your room a suitable Italian canvas, prepare the walls with light or earthy tones. Simplicity is key, so if you have heavily pattered furniture, tone it down with plain throws and cushions. Similarly, you can brighten up plain suites with textured, patterned or embroidered ones. Don’t be afraid to use a little lace embroidery here and there too as coasters, tablecloths or napkins. Floors should ideally be stone or wooden floorboards but if you can’t recreate this look, colourful woven rugs will help tie flooring into the rest of your design. For an authentic Italian feel, it’s worth investing in a few key pieces. 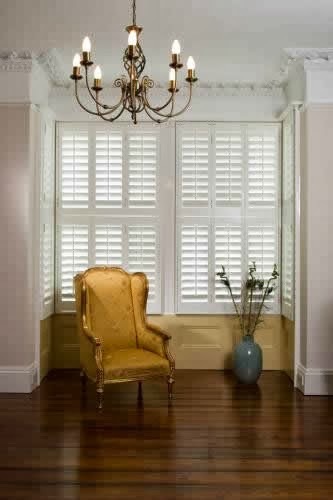 Wooden Venetian window blinds transform a room instantly and make a real feature, drawing the eye to the window. Natural light is prominent in any Italian home and window shutters allow you to let light flood into a space or filter out sunlight, or the British clouds, as your mood dictates. It’s always worth getting a professional installer to measure and fit these for you; they will last a lifetime. For a rustic look, wooden furniture also adds authenticity. Opt for pieces that look worn or if you are creative, can be distressed to look love-aged. A large dining table in your kitchen or garden helps to recreate the Italian lifestyle of leisurely meals and get-togethers. The tide has changed for interior decoration. The souvenirs or nik-naks we once collected on holiday and then stowed away in boxes at home are now in fashionable use as accessories for the personal touch. When it comes to rustic style, the more mismatched the items the better, especially crockery and glassware. Display them in glass-fronted cabinets or stacked on shelves and never save them for a special occasion; in true Italian style, every occasion is special. If you don’t have a collection of suitable accessories, you can pick them up in flea markets or online for a fraction of their original price. Much of the Italian lifestyle is down to making use of both indoor and outdoor spaces. The British weather might not always make this easy, but a conservatory is the perfect compromise, merging interior and exterior spaces together and allowing you to entertain guests at any time of year. Make sure you pay as much attention to your garden as you do your home. Wildflowers in beds or pots, creeping vines, outdoor cushions and tea-lights candles make your garden just as inviting as your kitchen. These simple tips will help you to maintain the Italian lifestyle, the informal living, the appreciation of simple food and wine and the freedom to entertain long after the holiday has ended. Thomas Sanderson are known for their commitment to high quality style advice to suit your home. You can catch more of their advice on Google +.